This kept us occupied quite a bit: after having worked with HP’s G7 line of servers for a long time, we ordered our first DL380 G8 for use with VDI. According to HP’s documentation the same custom image can (and must be) used when installing ESXi as with the G7. With that information, setting up the G8 sounded like an easy job: provision it via the existing automation mechanism and be done. ------------------------------------------------------------------------------ Error encountered before the user interface was initialized ------------------------------------------------------------------------------ Error (see log for more info): This system does not have a network interface card that is plugged in, or all network interface cards are already claimed. Installation cannot continue as requested. 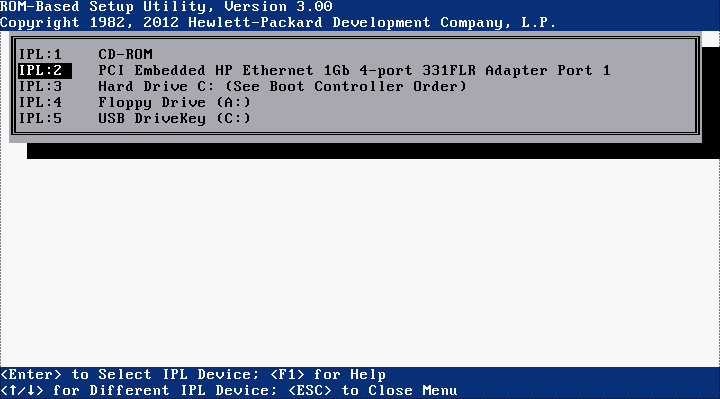 There is no supported nic on this host. The message is nearly funny – the server had just booted from the network. Did you notice a pattern? Sure you did. 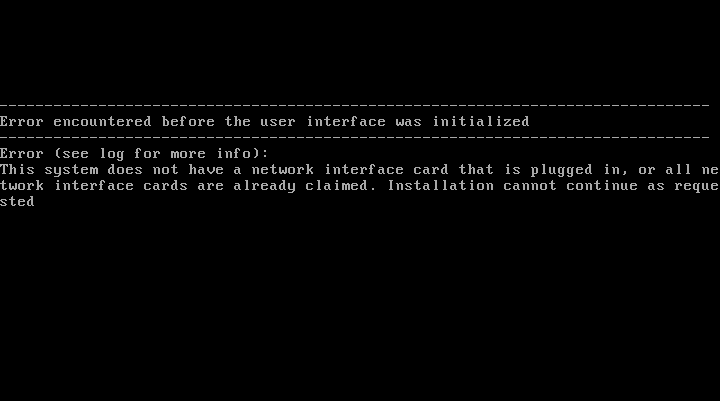 If the network card is higher up in the boot order than the hard disk, the error occurs. After we had opened a support call with HP a technician turned up and replaced both mainboard and NIC. After that, the error was gone. Unfortunately he could not say what might have been the cause. I have have exactly the same issues with installing ESXi 4.1.0 (build 800380) on a HP ProLiant Microserver Gen8, Intel Celeron CPU G1610T, although the boot order is 1.) Floppy, 2.) USB-Drive. 3.) CD-ROM. 4.) Harddisk. 5.) NIC. Nevertheless it does not work. Any further clues about this issue?